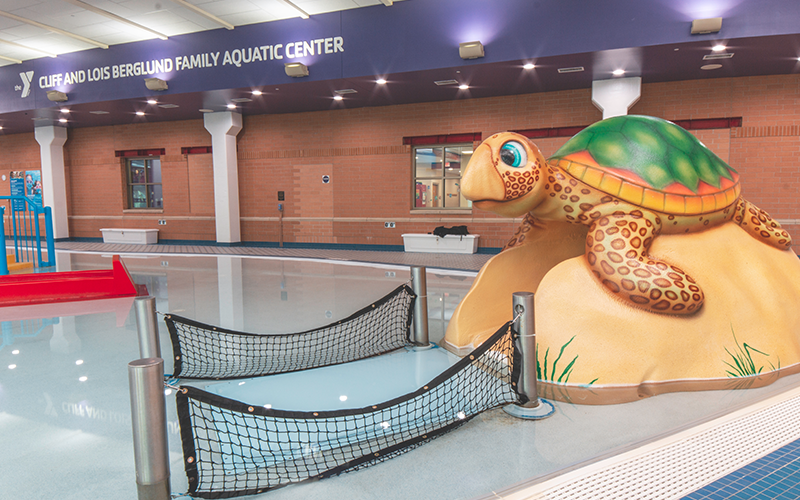 The Cliff and Lois Berglund Family Aquatic Center—also known as the Family Pool around the Y—is Plainfield’s only indoor waterpark. 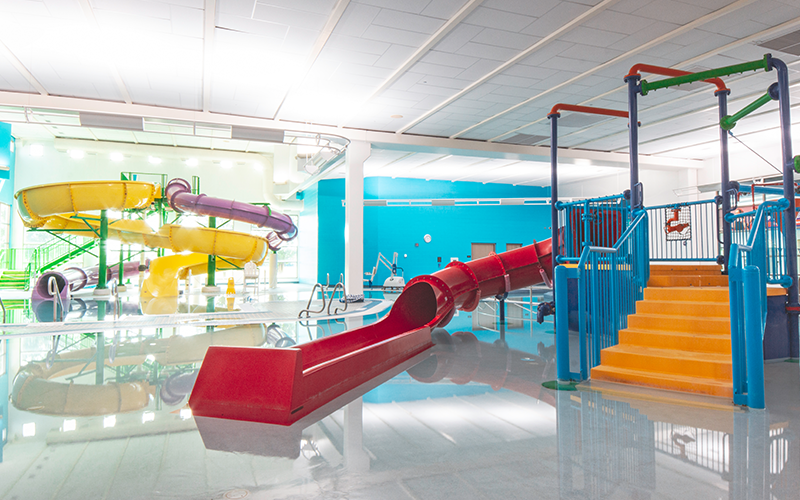 Located next door to the Y's eight-lane Lap Pool, the Family Pool is available for open swim on a daily basis. Zero-depth entry. Just like the beach! Warm water kept at a comfortable 88°. Birthday party friendly. Book yours today! A “Water Vortex”—great for swimming and low-impact exercises. Four waterslides: Two big waterslides, one small waterslide and one tot waterslide. 5:45-8:30 p.m. 6:30-8:30 p.m. 5:45-8:30 p.m. 5:45-8:30 p.m. 5-8:30 p.m. Noon-5:30 p.m. Noon-3:30 p.m.
Splash Playground Only 10 a.m.-Noon. Water Vortex 5:45-7 p.m. 5:45-8:30 p.m. 5:45-7 p.m. 5:45-8:30 p.m. 5-8:30 p.m. Noon-5:30 p.m. Noon-3:30 p.m.
Access is free with a YMCA Membership! Swimmers under the age of 10 must be accompanied by an adult. Swimmers under the age of 15 will be swim tested by the lifeguard on duty. Those who pass the swim test may use the large water slides. Children unable to pass the swim test must be accompanied by an adult in a swimsuit* in the water at all times. *A shirt or cotton pants may be worn over a bathing suit with a liner for purposes of modesty.